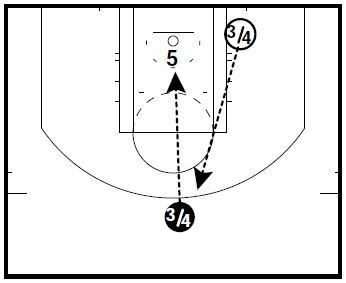 These three skill deveopment drills are from Coach Scott Peterman’s NBA Skill Development Playbook. The first drill is for perimeter shooters. 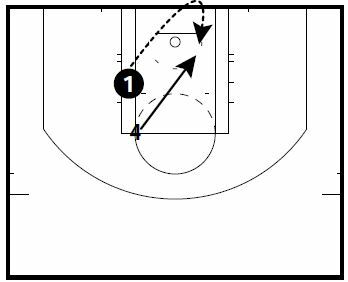 The other two drills are for inside players. The shooter (2) starts in the corner. The shooter must make two in a row to move to the next spot. The shooter shoots from 7 spots going for 14 makes in 1:30 minutes. You can use different spots other than the 7 in the diagram. If you have 3 players, you can use 2 basketballs and have a rebounder and a passer. 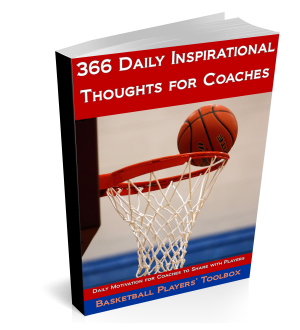 If you have 2 players, you can use 1 basketball and have a rebounder for inside out shots. The Post Player (5) stands under the front of the rim facing the basket. The coach (3/4 in black) is at the top of the key. (3/4 in white) is the rebounder. The coach call out the player’s name and the player turns and faces the coach. They turn opposite each time. The coach passes the ball to the post player. The post player catches and finishes with a different hand each time. He must immediately go up to finish with no gather / pivot. You can also have a coach or manager give some resistance with an air dummy. 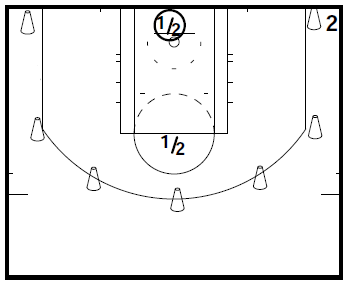 The post player (4) will start with the heels on the foul lane. The coach (1) will throw the ball over the basket to the other side. The post player will will take a step and then explode up to get the ball. The post player will not bring the ball below his chin. He can add a shot fake to the drill, but the drill must end with a power layup / dunk / reverse layup. These drills are great! I’m implementing them in summer workouts with the Basketball Teams! Thanks for the feedback coach!